I pride myself in being a person of few regrets. With that said, I very much regret not fitting in DIY Halloween costumes this year. With moving and travel it wasn’t in the cards, but I’ve been having so much fun thinking about what I want to wear that I thought I’d go ahead and share some of my favorite DIY costumes from around the ole internet, as well as a few from the ABM archives! If you didn’t already want to buy those giant bags of colored pompoms every time you see them, this adorable bubble gum machine costume from The Joy of Fashion will finally give you an excuse! Katie’s Bjork-inspired swan costume is so spot on! The perfect party costume. This Mary Poppins couple’s costume from Keiko Lynn is practically perfect in every way! This Pinocchio family costume is so fun! Little Poesy is killing it. How clever is this “fries before guys” costume from Studio DIY? Is anyone else suddenly craving a hamburger? Whether you are a kid or just an adult that chooses to “never grow up”, you can’t go wrong with a Peter Pan group costume—we believe, we believe! How amazing is this mermaid costume from Lauren Conrad? Sequin fabric aisle, here I come! This magician and rabbit costume from Say Yes is adorable. Why go to a Halloween party with a disco ball when you can be the disco ball?? Thanks Oh Happy Day! We thought we couldn’t get any more crazy about cacti, but this non-prickly cactus costume from Studio DIY just feeds our plant obsession even further! How cute is this mother/daughter rag doll costume? Show your love for one of the best romantic movies of all time with this Princess Bride couple’s costume. Aaaassss yoooooou wiiiiiisssshhhhh!! This cupcake costume from Oh Happy Day is literally too sweet for words! Gather up your best gals and head to the closest thrift store to create these Golden Girls costumes. Don’t forget the wigs! Take your costume back to the stone age (in a good way!) with this Flintstone family costume from Making Nice In The Midwest. How cute is that baby Pebbles?? Shut the front door!! A cereal bowl costume?!? Next. Level. Choosing an Alice in Wonderland costume like Keiko Lynn is always a classic costume (and an excuse to buy an adorable dress too!). Join the Wes Anderson cult following by dressing as Moonrise Kingdom characters like Oh Happy Day. This costume is best shared with someone you would totally run away with! These are so cute!!! Great ideas! Ok, the Moonrise Kingdom one almost killed me with cuteness overload. Great ideas ladies. These are all so adorable! My friend did Mary Poppins last year and it was SPOT ON. I am Harley Quinn this year and I can’t wait! 😀 I especially loved the light, airiness to this post. Halloween can be so dark sometimes! Amazing collection, I just can’t decide which I like most! I’m in love with the pineapple, the Alice in Wonderland and this awesome mermaid costume! These ideas are awesome, still can’t decide what to choose! I would LOVE dressing up as a pineapple. Now where’s my yellow dress? I’m dressing us as a zombie vampire this halloween, not sure how it going to work out haha. OMG! I need this pineapple costume! this is so me!!! What are you guys wearing? Even if I am not a huge fan of Halloween the “fries before guys” costume looks really cute and creative! Absolutely love the Fries before Guys outfit. It is a real contender! OMG I LOVE so many of these!!! These are literally the cutest costume ideas ever! It’s a hard pick, but I would have to say that the bubble gum machine is my favorite! It also looks like it’s fun to make! These are amazing! Check out my DIY costume from last year! We were ketchup and mustard and my dog was a hotdog! 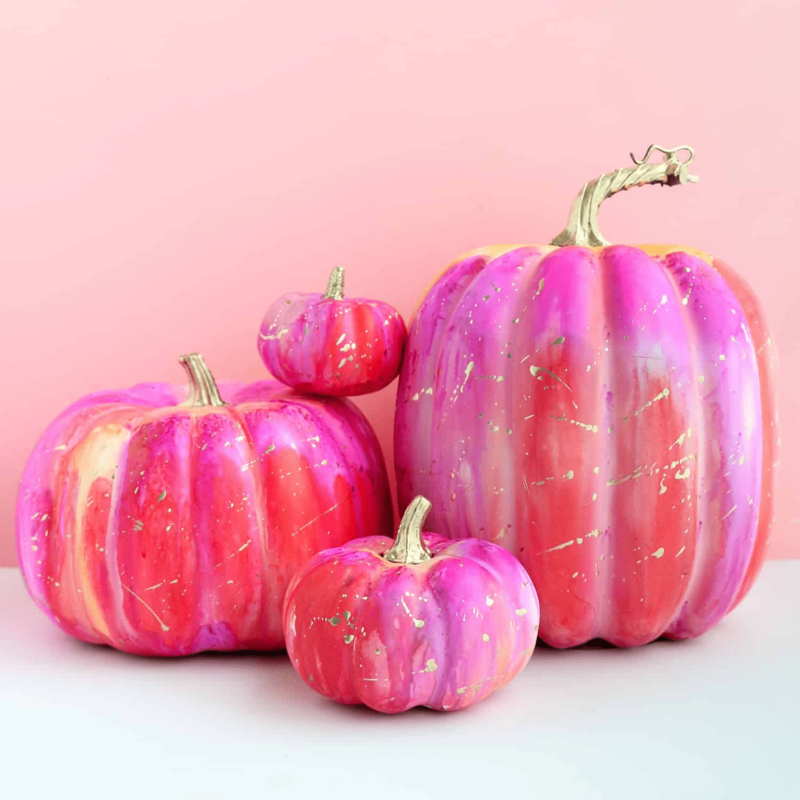 We don’t do Halloween but OH MY GOSH, these are so good. Mandi’s greyscale is my favorite though! These are such fun costume ideas! I especially love the mermaid costume, it’s a real contender for this year! Great ideas! I can’t wait to try them out. They’re definitely a lot more interesting than shop-bought costumes, and most likely cheaper too! Lovely costume ideas! I love Halloween & I’m constantly looking for new ideas! OMG THESE ARE AWESOME! My favorites are the swan, the cupcake, Mary Poppins and the Cereal! I made the Bjork costume this year and I can’t wait to wear it! It was super easy to make and required very little sewing. Thanks for such inspiring costume ideas. I want to do the greyscale costume next year! The grayscale coupe is my favorite, but the little girls as a disco ball was super cute! These are so cute! I love the bubble gum machine! I seriously might make that one! Love it!! Thanks for all of the great ideas! The greyscale outfit is genious, I think I finally know what I want to be for Halloween!!! So many absolutely adorable ideas! The disco ball is my favourite. I may know what I’m going to dress up as for Hallowe’en now! I needed this dose of inspiration because I was struggling to think of a costume idea this year! The cupcake girl is so cute! These costumes are all so adorable! Such a great round up! These are amazing! The pineapple is super cute, but the grayscale one definitely had that “Wow” factor! Really too creative, each shape are super cute, it appears I have to come before Halloween design a new shape, ah, I look to the Internet to look good wig and dress clothing. These shapes are very creative! Like this one! ! ! ! These are amazing! I love it!!! I adore the Mary Poppins costume! And the Rag Dolls. That bjork costume is DIY genius! Oh, and the magician and his bunny is perfect. I always find it really difficult to come up with with a couple costume that’s not totally corny. Golden Girls Costumes!! Definitely doing it with my girls this Halloween! Love it! My husband and I are doing Mary Poppins and Bert this year! These are absolutely adorable! I don’t even think I could choose a favourite if I tried. Hooray!! I am so glad to hear that my gumball machine costume is your favorite!!! THANK YOU!! Hi Amber!!! You don’t know how happy it makes me to hear you liked my bubble gum machine costume!! HOORAY! Thank you!